A template is a blank project using a predefined resolution, speed, aspect ratio and number of layers and images. It is possible to save a Template using the dedicated option indicated in the File main menu opposite (the template will have to be given a name). 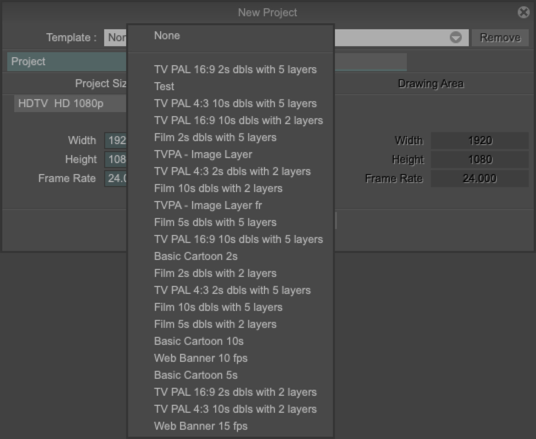 In this way you may select the template you just created when a new project is started. You may also use one of the many predefined models.